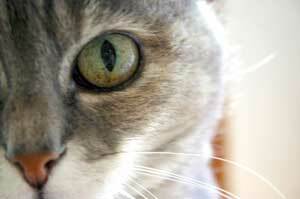 Cat eye problems can be both unsightly and painful for your pet. Understanding how your cats eye works, it's structure and the common problems that can occur, will make it easier for you to diagnose the symptoms of your cat health eye problems and enable you to give the appropriate cat care. Cats only need a sixth of the light required to see as humans. They are able to alter their range of vision more quickly. They have the nictitating membrane, a third eyelid to protect their eye. The third eyelid visible and coming across the eye. Tear staining around the eye. Cats are unfortunately prone to the odd fight and one of the most common injuries is a claw scratch across the eyeball, Ouch! If you notice that your cat is keeping it's eye half closed and that fluid is dripping out of it, this is an emergency. Don't delay, take your cat to the vets straight away. If the injury is severe the eye may be lost, less severe injuries can result in ulcers forming on the surface of the eye. Another condition is cat Conjunctivitis. This is when the soft pink tissue around the eye becomes inflamed and irritated. 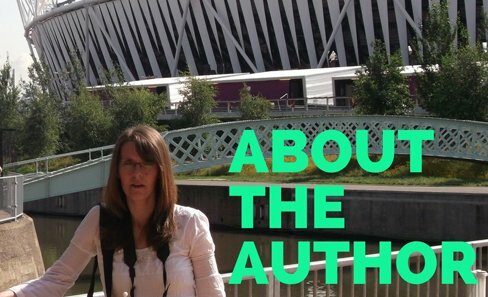 Possible causes are allergies or a viral infection. A yellow/green discharge is often seen and special cat eye drops will be required as well as antibiotics to clear this condition up. 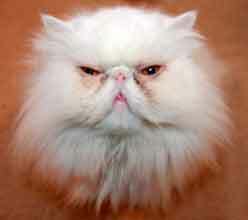 This is a common cat eye problem for long haired cats, especially the ones with a squashed face as in the Persian cat. Although this is not a painful condition in itself, you should always wipe your cat's eyes with a soft damp cloth to keep them clear. If they are left and become very blocked your vet will have to flush them and this will require a general anaesthetic. 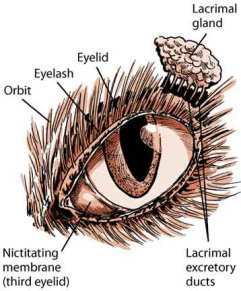 Often watery eyes and blocked tear ducts can cause staining of the fur around the eye. This can look rather nasty and become clogged up if not cleaned regularly. Progressive retinal atrophy or PRA. The retina of the eye steadily over time degenerates and eventually the cat will go completely blind. The condition is found in both pedigree and non-pedigree cat breeds, but is inherited by some breeds like the Abyssinian. Unfortunately it cannot be treated. 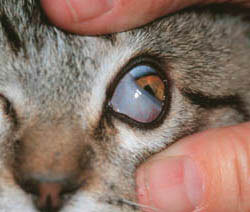 Cataracts are mainly seen in old or diabetic cats. The lens of the eye becomes cloudy and if left untreated will become so opaque that the cat will no longer be able to see. The only treatment is surgery. Glaucoma is when too much fluid builds up within the eye and exerts pressure on the retina, damaging the cells, which causes pain and will eventually result in the loss of sight. It can be treated with pills, eye drops or surgery, but only if caught early enough. Symptoms are, enlarged eyeballs, fixed pupils and a cloudy cornea. Clean eye with a soft damp tissue to remove any discharge. Hold your cat on your lap firmly; you may have to have a second person to help. Gently hold open the eye to stop your cat closing it. Put the drops on the center of the eye, remember do not touch the eye itself. 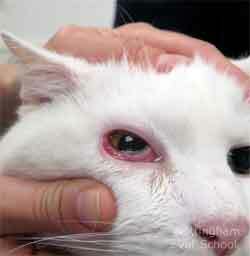 Your cat will blink which will spread the ointment of the eye.